Don't forget to take a moment and reflect on why we are able to kick off our summer with a three-day weekend. A moment of silence in remembrance of those soldiers who gave their lives for our freedom should be high on your list of things to do on this, our Memorial Day. Now, onto the party! We had so many great links last week. It was hard for us to choose just five to feature. If you're interested, you can check them out here. Thanks for hosting, ladies! Happy Memorial Day! 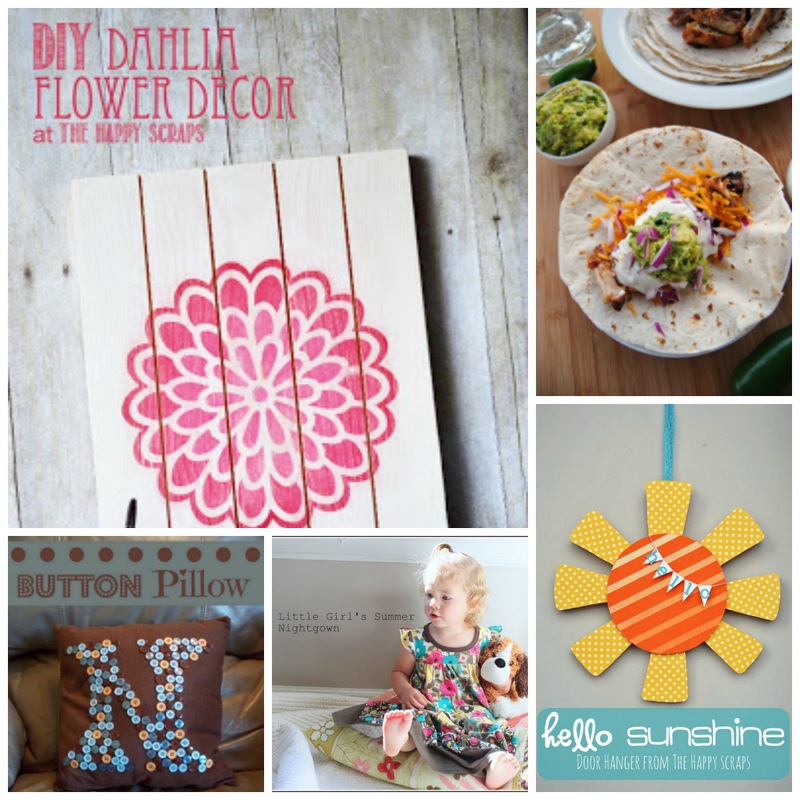 Thank you so much for featuring my Dahila Flower decor along with my Hello Sunshine Door Hanger. :) It made my morning to see this. Also, thanks for hosting the party again this week. Thanks for inviting me over to the party! All linked up and off to mingle :) Hope you have a great Wednesday! Thanks so much for hosting!! Congrats on the growing party! Thank you for the invite - sorry I'm so late! I'll be back next Monday. Have a great weekend! Thanks for visiting our blog, and for the invite! We've linked up, and look forward to linking up with you every week!